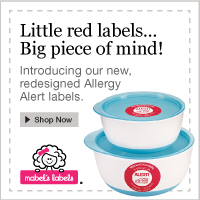 Yet another recall surrounding children’s products. Bassinets are being recalled this time. Here are the links to what, where, and how to fix these bassinets if you or someone you knows owns one of these items. “WASHINGTON, D.C. – The U.S. Consumer Product Safety Commission, in cooperation with the firm named below, today announced a voluntary recall of the following consumer product. Consumers should stop using recalled products immediately unless otherwise instructed. It is illegal to resell or attempt to resell a recalled consumer product. via Bassinets Recalled by Burlington Basket Company Due to Fall Hazard; New Instructions and Warning Labels to be Provided to Consumers. The Burlington, Iowa-based company is not offering to take back the bassinets, but is instead giving consumers free repair kits to show exactly how to install the support rails. 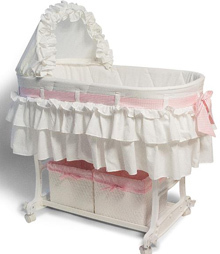 Consumers should check to make sure their bassinet has the support rails properly locked in place.